The theme uses Smartcat Modules, which includes a Gallery feature. 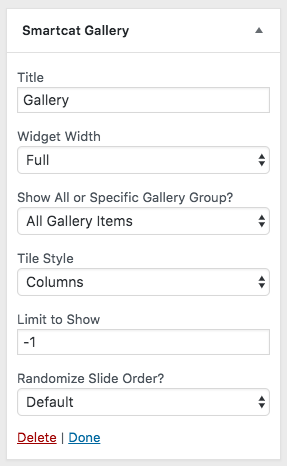 With this, you can create multiple galleries, and display them on the Gallery template page, or by using the Smartcat Gallery widget. Create a page, or edit an existing one. 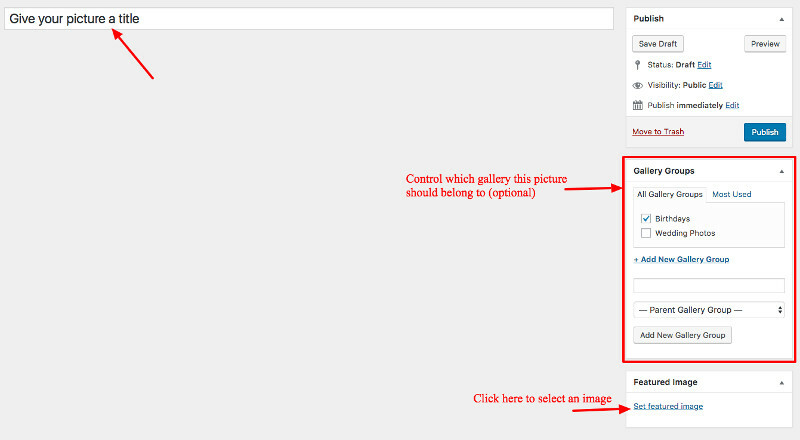 Then set the Page Template to Gallery. 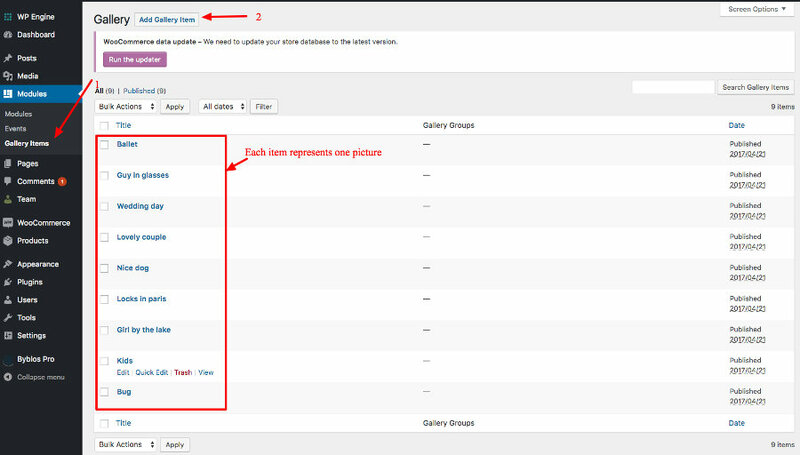 You can customize the appearance of the pictures using the theme customizer, under Custom Modules – Gallery Settings. The theme comes with a Smartcat Gallery widget, which is bundled in the Smartcat Modules plugin. 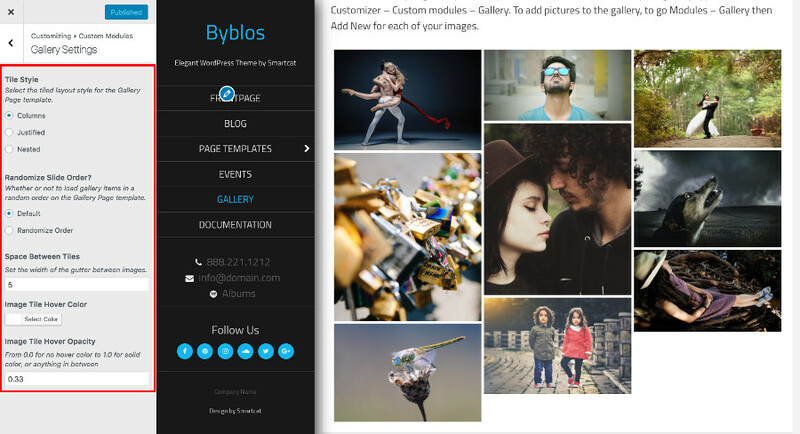 Use the widget from the theme Customizer, or from Appearance – Widgets, to display a gallery in a widget area.